Yesterday John & Dave revealed how you can generate 1k plus paydays by sharing a simple method that has been working for them since 2004. Yes, they sold their first website in 2004 and that website went on to sell over 10,000 copies. They sold a single website over 10,000 times. Plus, they have also sold tens of thousands of other sites. 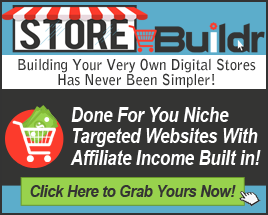 If you want to see how they did it, and more importantly, how you can set up your own website selling business in minutes (yes, minutes) then watch the webinar replay before it’s taken down.